Suede and leather trim backpack. This classicly styled backpack features a double strap magnetic snap closure flap with a top cinch leather strap. It has a front horizontal zip pocket and two large side flap pockets. The roomy interior features a zip pocket and two open organizing pockets. 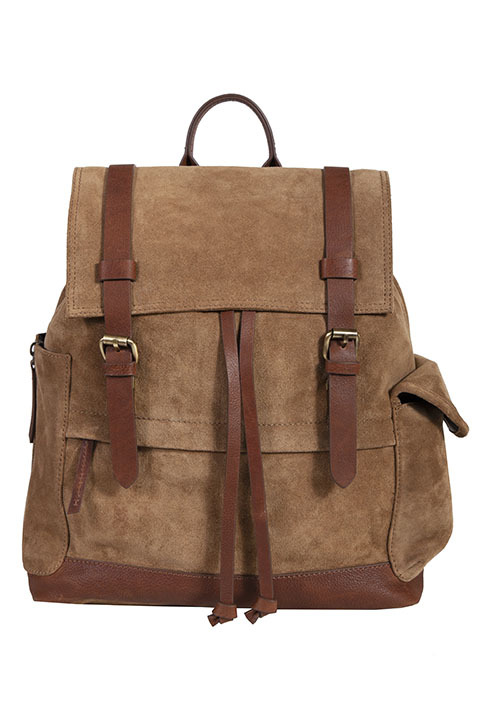 The exterior rear features leather backpack straps.